Jarret Brachman is an Associate Research Fellow at the Upper Great Plains Transportation Institute. His area of focus is counterterrorism and security. 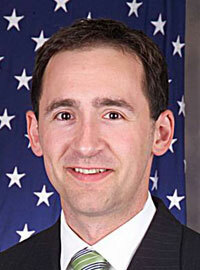 Jarret began his career at the Central Intelligence Agency and went on to serve as the first Director of Research at West Point's Combating Terrorism Center. Jarret has directed a number of projects for the Department of Defense and he routinely lectures to military, law enforcement and intelligence audiences. He has been invited to testify on security related matters before the House Armed Services Committee and the British House of Lords and his research has been featured on 60 Minutes, CNN, the New York Times, Al-Jazeera among a number of other international media outlets. Jarret's book, Global Jihadism: Theory and Practice , was published in August 2008.